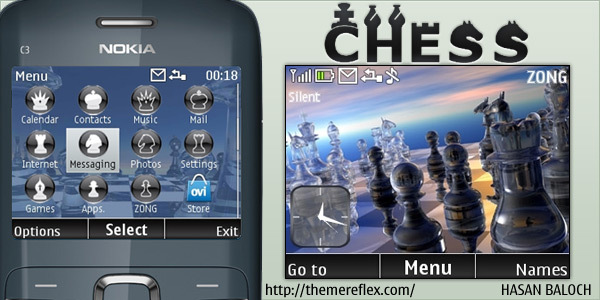 I have made this chess style theme for Nokia C3 / X2-01 with special chess elements icons. I have try to make different on this time, but I think this is as usual old style theme. Chess theme forNokia C3 / X2-01 which is made on special request by my friend Harsha. He also sent me pictures and icons for chess theme. I hope you all will like this theme. Please send your comments. To keep updating yourself, please follow me on Twitter and Facebook, and also subscribe to theRSS feed, if you would like to be informed for the latest themes.